So how was your weekend? Ours was finally one with no set plans, which is always a welcomed change. We spent much of Saturday at our friends' home swimming and grilling out and then Sunday at church, cleaning and organizing at home. 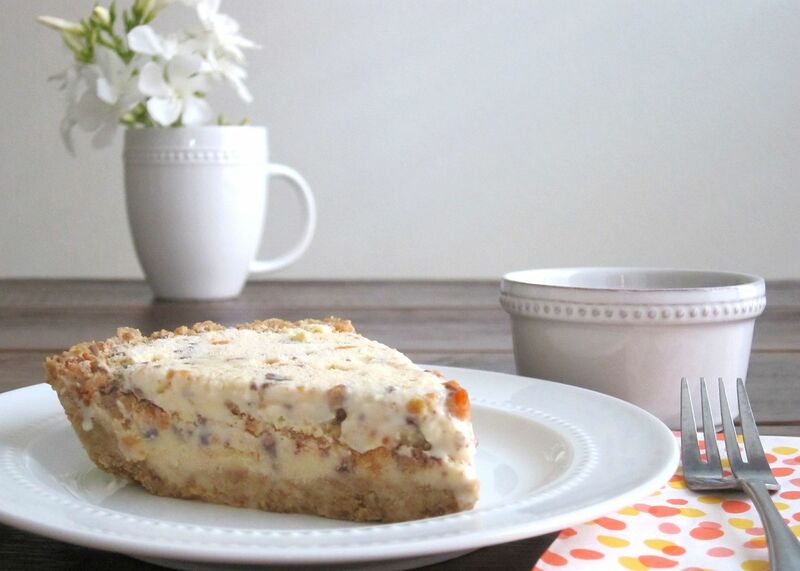 I have been waiting for the right occasion and warm weather to give this ice cream pie recipe a try and this weekend was perfect to do just that. And it was even more delicious than I imagined!! Graham cracker crust + vanilla ice + candy pieces + warm caramel sauce = scrumptious!! For the crust: Preheat over to 350 degrees. Crush graham crackers in a resealable plastic bag. Pour crumbs into bowl with melted butter and mix. Press into pie pan and bake about 5 minutes. Set aside to cool completely. For the filling: Remove vanilla ice cream and allow to soften slightly. Mix in candy pieces and then pour mixture over cooled crust. Cover with foil and freeze until very hard - 1 to 2 hours or over night. For caramel sauce: Mix the brown sugar, half and half, butter and salt in saucepan over medium-low heat. Whisk gently while cooking for about 5 to 7 minutes or until thicker. Add vanilla and cook another minute to thicken. Allow to cool to desired temperature. Serve with cooled or slightly warm caramel sauce over the top. This is a perfect summertime dessert that I will definitely be adding to my go to recipe list! 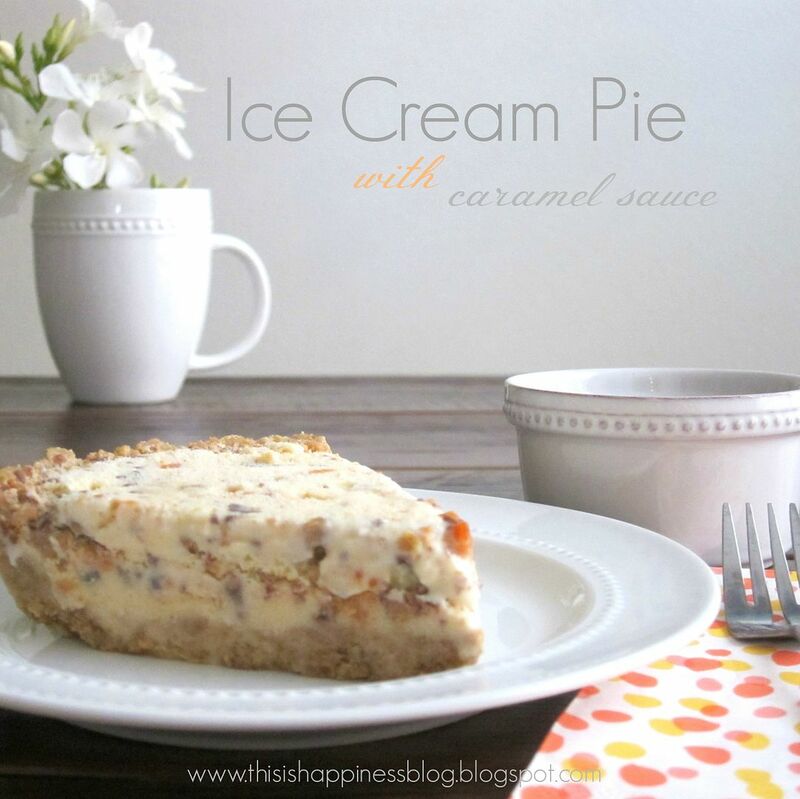 I am no doubt making this pie this summer - anything with Reece's in it has got to be delish! Makes me so sad I can't eat peanuts/peanut butter anymore... and thinking about what other candy goodness I could tuck inside! Yes, you could definitely substitute other candies and I bet it would be just as yummy! !